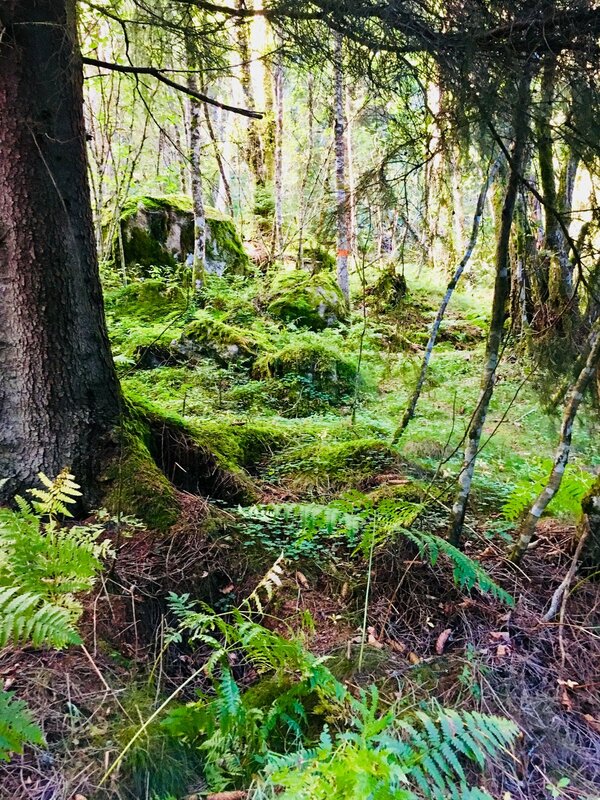 I went on a wonderful trip to Western Norway, a great loop starting and ending in Bergen and meandering my way around the Hardangerfjord and Sognefjord. 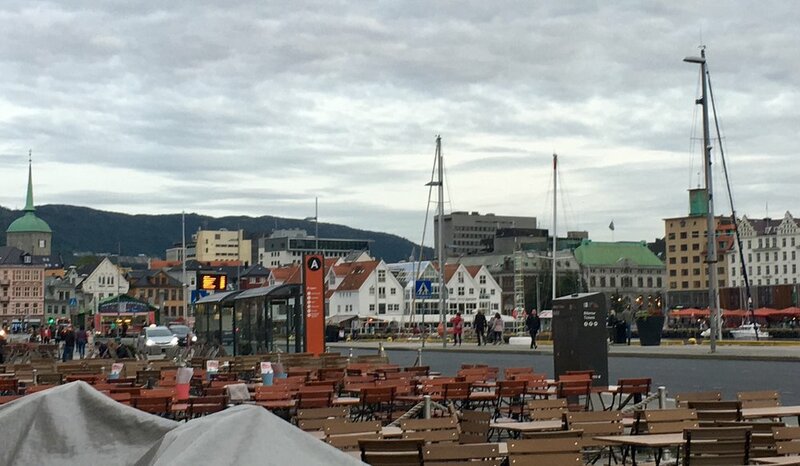 The trip started in Bergen. 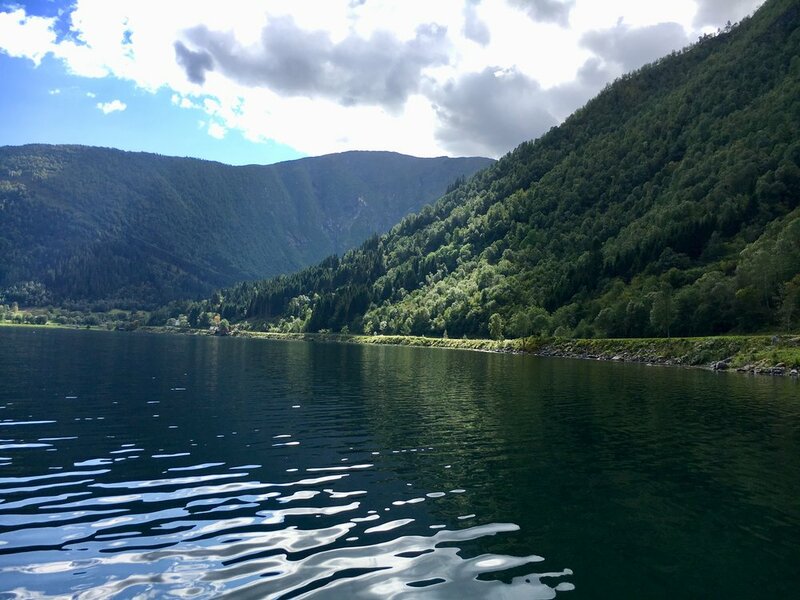 We visited the famous Bryggen Wharf and the wonderful collections of Norwegian art work at the Kode 3 & Kode 4 (I particularly enjoyed the Nikolai Astrup exhibition) Then it was off to see the fjords! 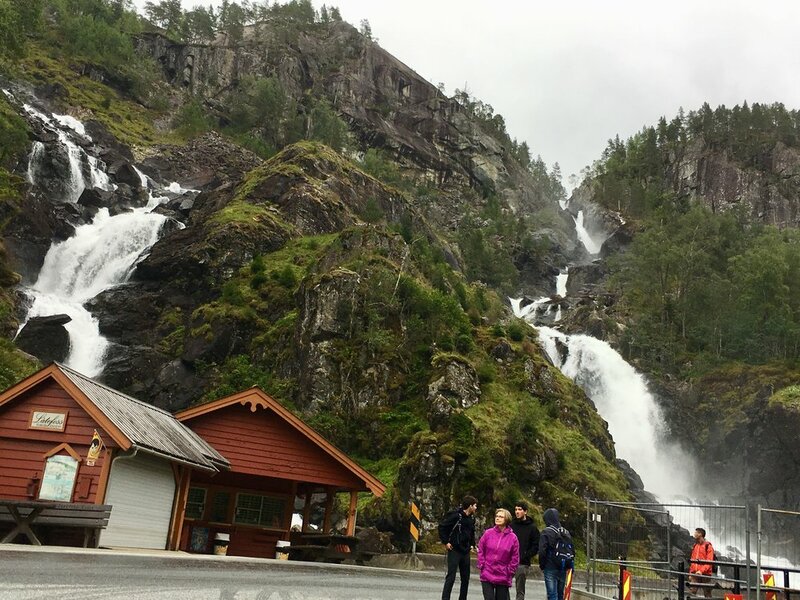 First stop was to head to Hardangerfjord, driving from Bergen, passing the waterfall Steinsdalsfossen and making our way to Tørvikbygd. There we caught the ferry to Jondal and a beautiful drive around/through Folgefonna nasjonalpark and our first glimpse of a glacier before stopping for the night in Odda. 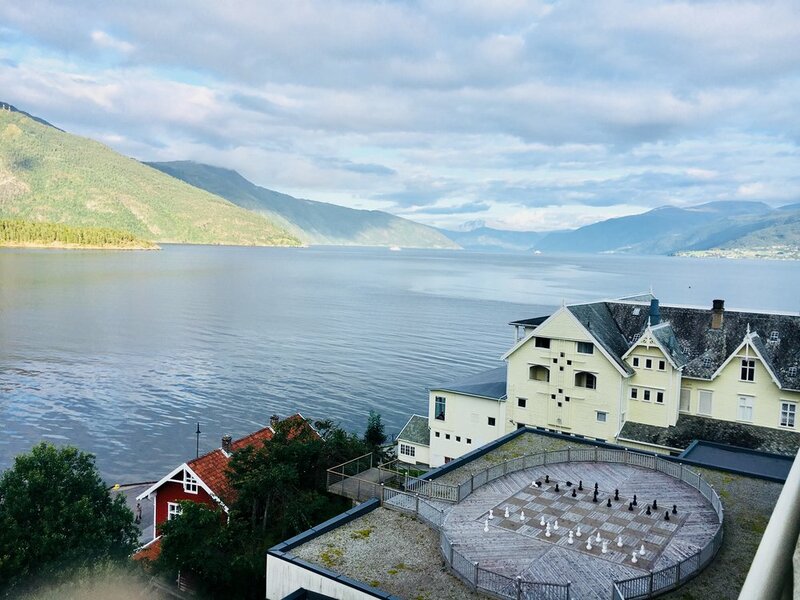 View from my hotel room at the Hardanger Hotel in Odda. Sun setting in the evening in Odda, Norway. A delightful little town on Hardangerfjord that caters to hikers - we didn’t hike anywhere but enjoyed it just the same. 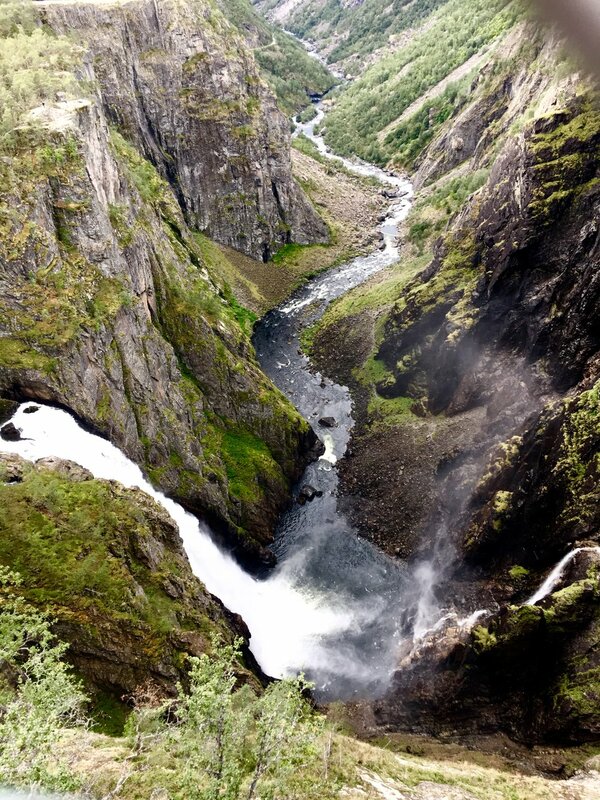 We hit the Låtefossen Waterfall before leaving town for the other end of Hardangerfjord to Eidfjord. A nice drive past tons and tons of fruit trees (I believe parts of it along an official National Scenic Route), trees, scenic views to Eidfjord. 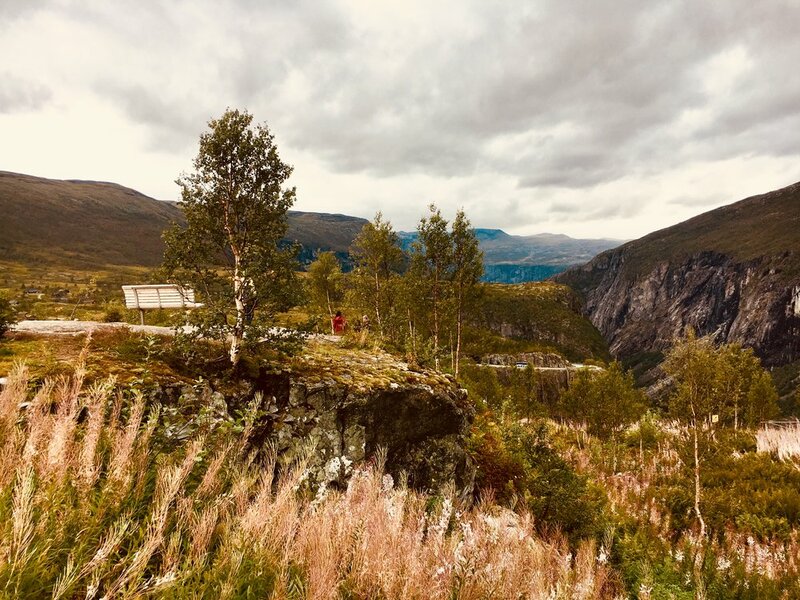 We overshot town and visited Vøringfossen and the edges of the Hardangervidda plateau - hoping to spot one of the wild reindeer (sadly no but what were the odds?). As I mentioned, we visited some famous ones seen here - Steinsdalsfossen, Låtefossen and the most famous of all Vøringfossen. Not to mention untold numbers I passed on the road. One of my favorite drives we took in Norway was through the mountain pass between Voss and Vik, up zig zaggy roads, passing snow patches, sheep and lots of trickling waterfalls and streams. Vangsnes and its famous statue of Fridtjof. Once at the bottom of the mountain in Vik we were now on the Sognefjord. 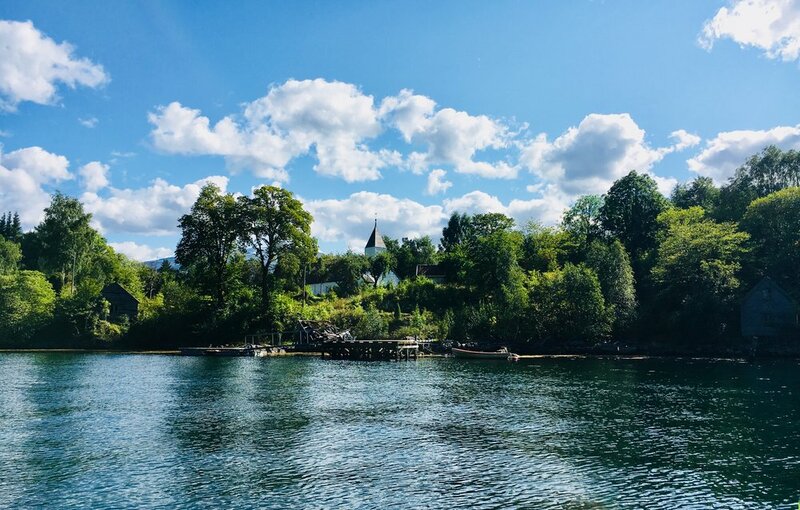 We continued to head along the fjord to Vangsnes, and took the ferry to Hella and then Dragsvik, and a ride around the edge of the fjord to Balestrand. Balestrand is a major summer retreat, we stayed at the most famous hotel in the area, the Kviknes Hotel. We were lucky enough to get two truly beautiful sunny days. A 10ft wide painting I completed of my view from the Kvikes Hotel. We joined a rib boat tour and got out on the water to explore the fjord! The final leg of our trip brought us back to Bergen to head back home!